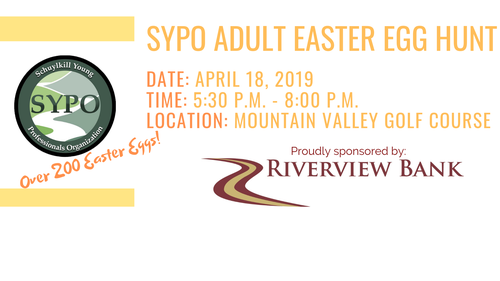 The Schuylkill Young Professionals Organization is hosting an Adult Easter Egg Hunt. There will be over 200 Easter eggs. Prizes are provided by local businesses! Registration is highly encouraged and appreciated.